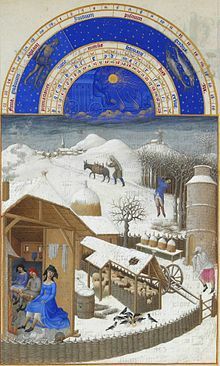 Februar is the seicont month o the yeir in the Gregorian calendar. It is the cuttiest month an is the ae month wi 28 or 29 days. The month haes 29 days in lowp yeirs, whan the yeir can be divid bi 4 (apairt for yeirs that can be divid bi 100 an no bi 400). In ither yeirs the month haes 28 days. Wikimedia Commons haes media relatit tae February. This page wis last eeditit on 7 Mairch 2013, at 16:43.